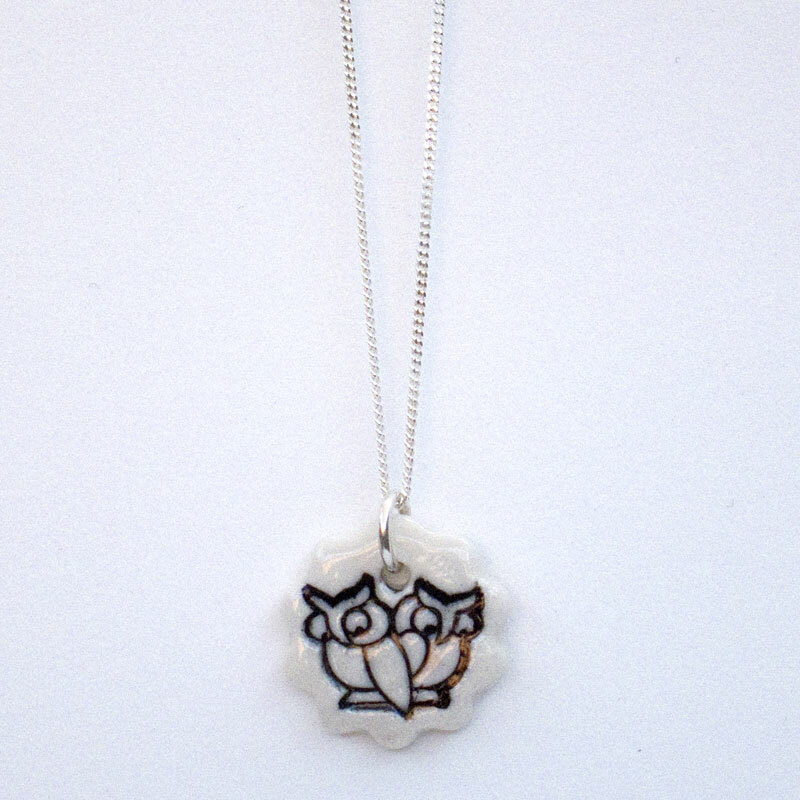 A super cute porcelain pendant on sterling silver chain from the new Iggy and Lou Lou "Saturdays With You" collection. It's all about spending time with your loves and bests, and includes handless clocks, dreamy screens and themes of love beyond time and space. 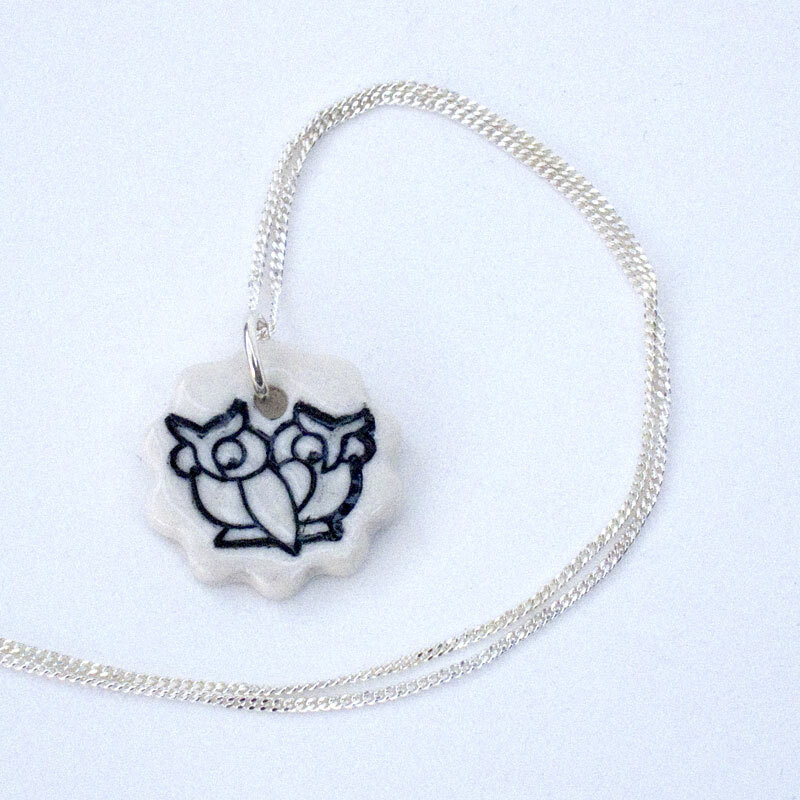 A pair of Night Owls are watching from the centre of a flower shaped pendant. Description: Flower Shaped Tag Charm 19mm diameter on sterling silver chain. 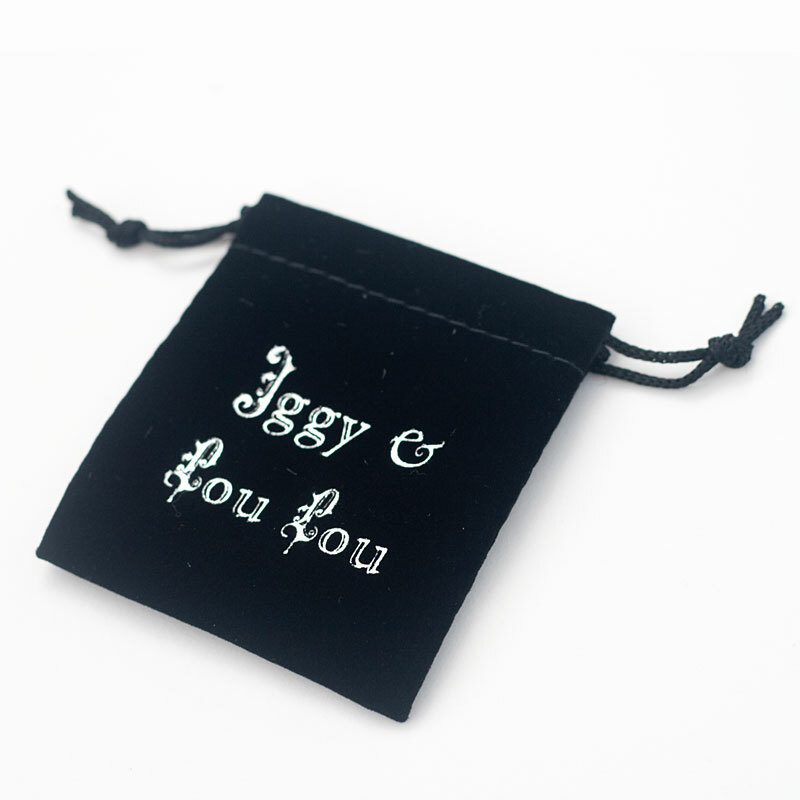 The Iggy and Lou Lou Limited Edition jewellery and homeware collections draw on the rich history of porcelain. Each pieces is lovingly hand crafted and kiln fired up to four times to attain the patina of buried treasure. Due to their hand made nature, individual pieces may vary slightly.